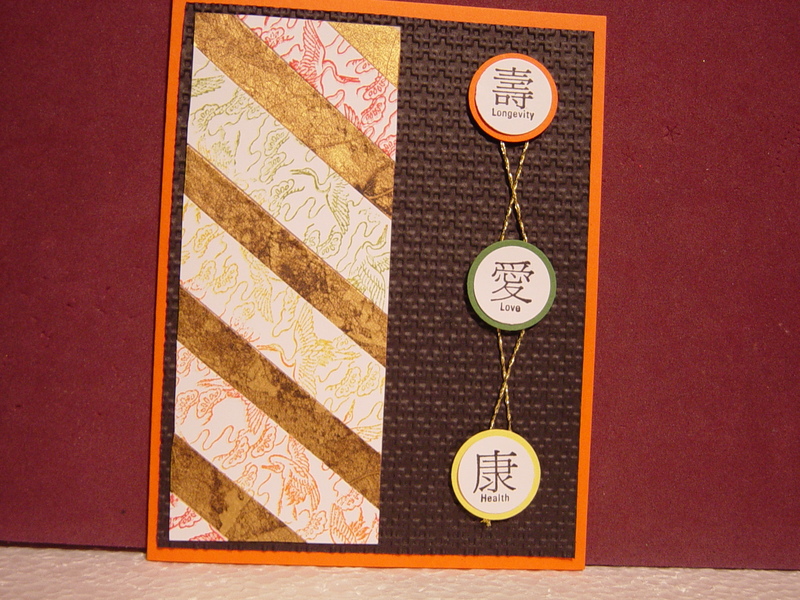 For January, our Technique Challenge is to use strips of paper on your card. There are a number of ways to do this. 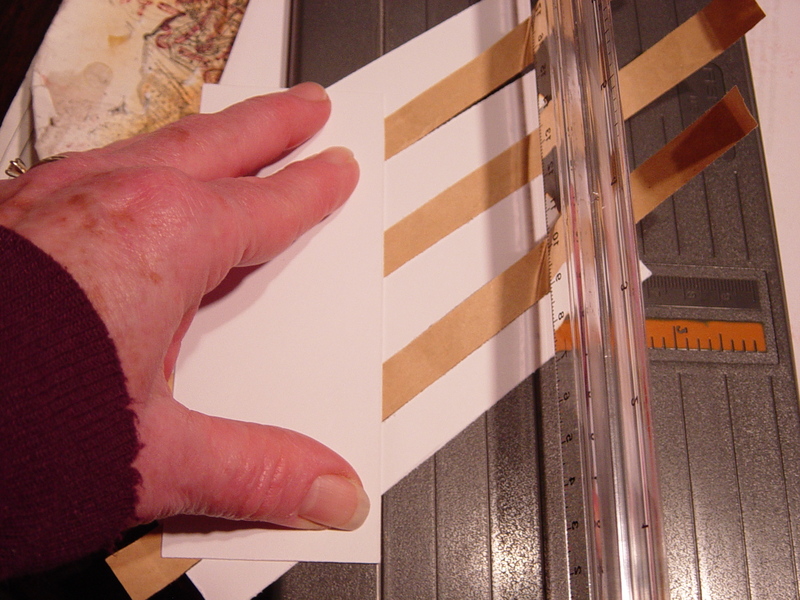 First, take a piece of card stock that you want to have the strips on. 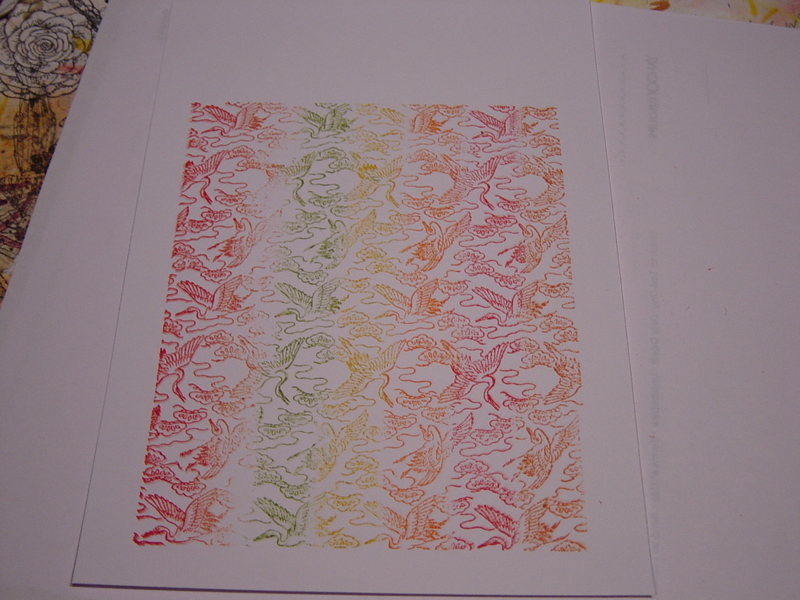 It can be a background piece for your card or even the central point of the card. Once you choose that piece, cover it evenly with either strips of double-sided tape, a sheet of double-sided tape, double-sided masking tape, or glue. Make sure the tape doesn’t overlap and make sure they are even against each other so the entire top of the paper is covered with the tape. 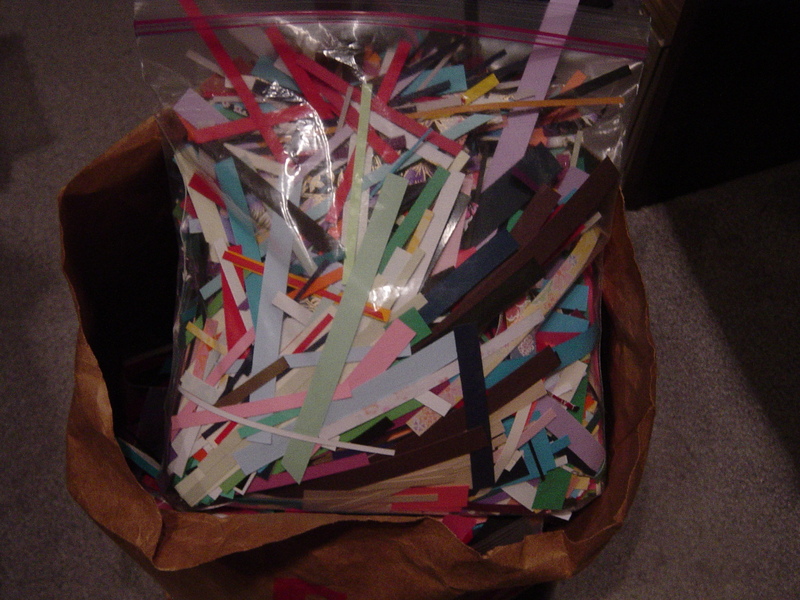 They are what hold the strips to your card stock. 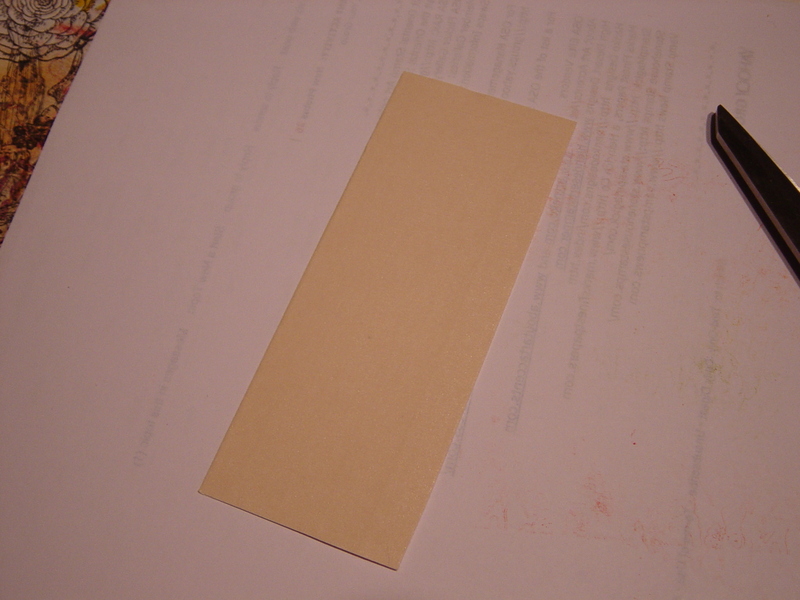 You can either use tape or glue or even double-sided masking tape (I picked up a roll at a Rubber Stamp Convention). 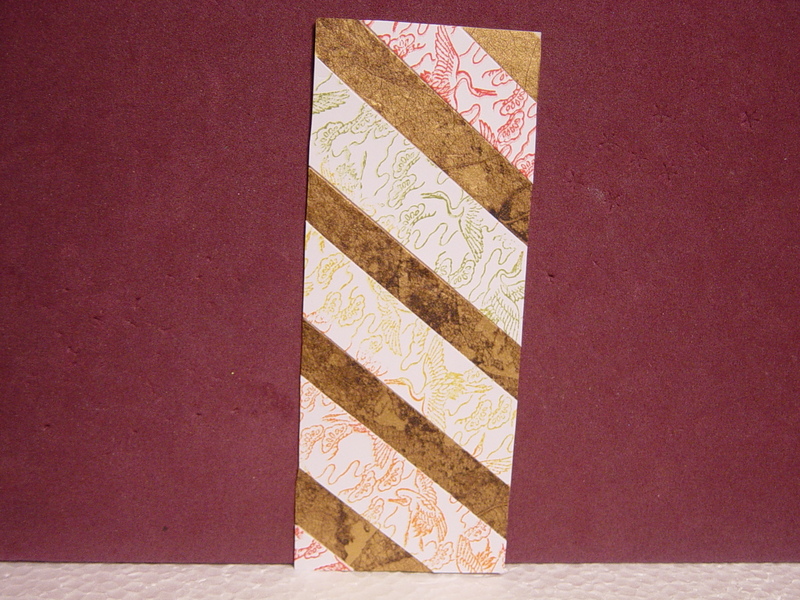 I used the double-sided masking tape on my card and made my strip the width of the tape. But you can make it any width you want. I’ve already removed the protective coating on it so it’s sticky but you can still lift the strips up and reposition them. 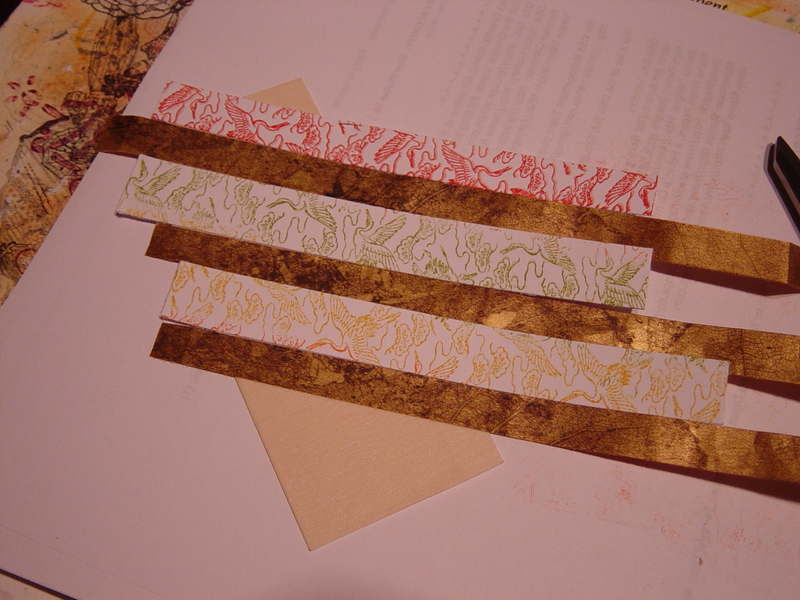 Or if you have beautiful left-over wrapping paper you can cut that into strips to use. 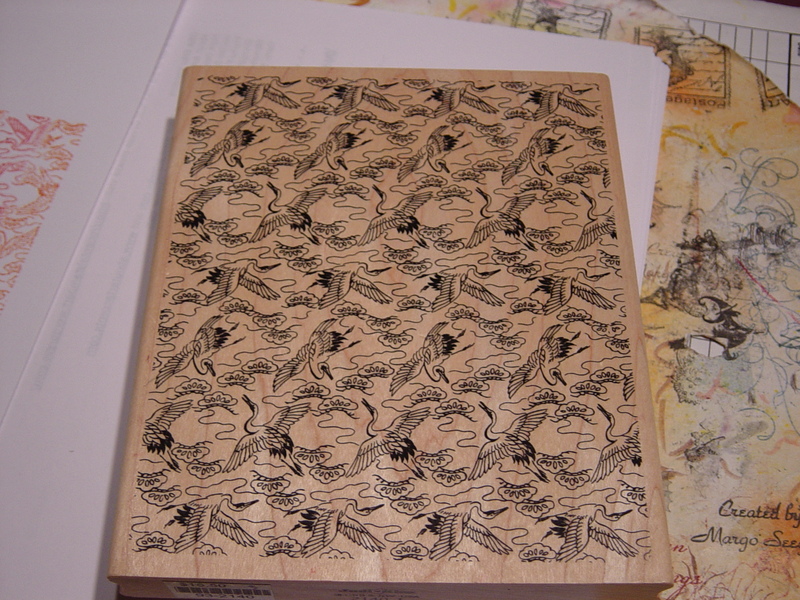 Another thing you can do is stamp an image and cut that into strips. For my card, I used left-over wrapping paper from an OSA member who was my Secret Santa partner – thank you very much Yvonne J. and stamped my image and cut it into strips. I then pulled out my kaleidoscope ink pad. You know those you bought because they looked so cool on cards others made and have been sitting with your other stamps ever since – unused. I did it as diagonal lines across the whole piece but that doesn’t mean you have to. You can set up a couple of pieces diagonally and then change direction and make whatever pattern you want on that from herringbone pattern to anything. Let your imagination take you wherever it wants to go. Once your sticky area is totally covered, flip it over and either with your cutter or just a pair of scissors, cut off the overhanging strips. I found it easier to cut them off just with a pair of scissors but it’s up to you. For the Iris Folding they talk about having a pattern. But you can always make your own. All you need is an outline and then you draw the lines on the inside where you want your strips to overlap. Just number the area between the lines like you see on the videos. We will be doing this in the future separately but wanted to give those who wanted to try it, a chance to do it now. Have fun doing this technique. I’m excited to see all the wonderful cards you all can make with this technique. Who knows, tomorrow I might even make another!! Beautiful cards with a variety of designs.